Our Premier League betting preview for this week focuses on the top-of-the-table affair that's kicking off at 5:30pm on Saturday when Man City travel to Stamford Bridge to play Chelsea. We've got British Bookmakers Chelsea v Man City odds below, a preview of the match, and the betting offers and price boosts to claim if you're having a bet on this crucial game. Check out the best odds that bookmakers offer for a Chelsea win (H), a win for league leaders Man City (A), or a draw (D) below. Use the ALL ODDS tab to view more bookmakers odds. NB: Chelsea v Man City betting odds correct at the time this match preview went live and are subject to change. Last updated: 07:54 on 08/12/2018. As well as bookmakers best odds, we've also listed their betting offers and price boosts that you can use when betting on Saturday's Premier League match between Chelsea and Man City. Chelsea v Man City is being shown live on BT Sport at 5.30pm on Saturday December 8th. Signup at 888sport using promo '10FREE' and bet £10 on anything you want and you'll get £30 in free bets - and a bonus £10 free bet to use on Chelsea v Man City. Signup as a new customer at 888sport using the promo code '888ODDS' and you'll get the boosted price of 28/1 on Chelsea beating Man City instead of 13/4. Expires Saturday 17:30. New customers only. £10 minimum deposit using promo code "888ODDS" required. Qualifying bet must be placed at the normal odds Min bet £5, max bet £5. Extra winnings paid in FREE BETS and added within 72 hrs of qualifying bet settlement. Free bet stakes not included in bet returns. Free bets expire 7 days after credit. This offer may not be combined with any other offer. Deposit balance is available for withdrawal at any time. General deposit method & withdrawal restrictions apply & Full T&C’s apply. 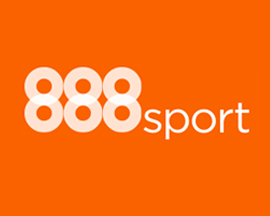 Signup as a new customer at 888sport using the promo code '888ODDS' and you'll get the boosted price of 8/1 on Man City beating Chelsea instead of 3/4. 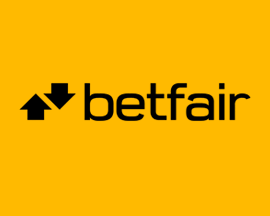 Signup as a new customer at Betfair today and you'll get the boosted the price of 70/1 on Chelsea beating Man City. Plus, also claim up to £100 in free bets! Expires Saturday 17:30. New Customers can get Chelsea at an enhanced 70/1 to beat Man City. Max Stake £1. Winnings paid in free bets, valid for 7 days, only deposits with cards/Paypal count. Exchange and multiple bets excluded. T&C’s Apply. 18+|Gamble Aware. Place a £5 (or greater) BetYourWay bet on the Chelsea v Man City match over at Betway, and they’ll credit your account with a £10 free bet to use on any market. T&C's apply. 18+. New and existing customers. Get a £/€10 Free Bet when you place a £/€5 BetYourWay bet on the Chelsea vs. Man City match. 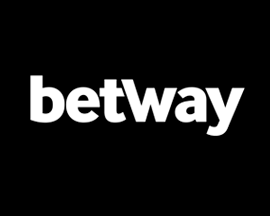 Please see Betway's website for the full terms and conditions. Bet £10 on certain Chelsea v Man City markets at PaddyPower (see T&C's below), and if you lose and Man City win, you'll get your moneyback as a free bet. New and existing customers. Applies to the fixture taking place on Saturday 8th December. Applies to losing singles placed pre-match only. Applies to First Goalscorer, Last Goalscorer, Anytime Goalscorer, Correct Score and WhatOddsPaddy markets. Max free bet £10 per customer. T&Cs apply. 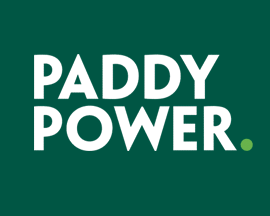 Signup with PaddyPower today and bet £20 on Chelsea v Man City and if you don't win your bet, they'll refund your original £20 stake - in cash! Pep Guardiola takes his Man City side south to Stamford Bridge on Saturday evening, where they’ll take on Chelsea in their 1st meeting of the 2018-19 Premier League season. Online bookmakers offer Man City as the favourites, and as they beat Chelsea in both of last season’s fixtures, and are unbeaten this season, it’s not surprising Man City are expected to win. Historically Chelsea have had more success when these sides meet, winning 24 of 42 Premier League fixtures, however there has been a major role reversal in the past few seasons. Man City beat Chelsea twice last season as well as the FA Community Shield back in August, which means that Chelsea have beaten Man City in any competition since April 2017. Chelsea had been playing fairly well this season and remained unbeaten until slip-ups against Spurs and Wolves ruined that for Sarri and his attempts to get Chelsea playing his way. Man City will therefore be even more determined to remain unbeaten and take another 3 points on Saturday - especially after defeating Watford 2-1 at Vicarage Road on Tuesday night. Before Chelsea v Man City kicks-off, we've taken a look at how each side's been performing of late, as well as if there are any player injuries that could affect you betting the match. Having suffered their first defeat of the season to Spurs, Chelsea secured a 2-0 victory against Fulham but then lost 2-1 away to Wolves, and dropped to 4th place in the Premier League table. Sarri won't be happy that his side surrendered a one goal lead against Wolves in midweek but could be due to the fact that they've played 5 matches in 2 weeks. This will no doubt put additional pressure on the squad, however they then have, what they hope will be less challenging fixtures in Brighton and Leicester in the run up to Christmas. Taking all 3 points would be amazing for Chelsea, and although they'd love to inflict Man City's first loss of the season, a win on Saturday may be too much to ask from Maurizio Sarri’s men. Luckily Chelsea don’t have too many injured players to contend with. Moses is expected to be back in time and so Barkley and van Ginkel are the only players who are doubtful. If Chelsea regain their form they'll certainly give Man City a run for their money, but they’ll probably struggle to take all 3 points from a team many consider invincible. What can we say and the side that online bookmakers see as favourites to win the 2018-19 Premier League title (best odds on Man City: 1/4 at Betfred.com). Man City are still unbeaten this season, and come into this clash on the back of yet another victory away to Watford, which saw them further cement their place at the top of the table. Although Man City are probably expected to beat Chelsea, Sarri’s men always pose a threat to Pep Guardiola’s side, and could easily be the team that end their winning run. Especially as Man City could be without leading scorer Sergio Aguero, who is a doubt for the fixture having suffered from muscle fatigue recently and also missing the midweek match. Apart from Aguero, Guardiola doesn't have too many major injury worries, but Zinchenko is looking doubtful, and Mendy, de Bruyne, Bravo and Mangala have also been ruled out. A win for Man City at Stamford Bridge would put them in an even stronger position in the league table, as they should also win their next matches against Everton and Crystal Palace. Chelsea and Man City have played each other a total of 160 times with Chelsea currently having the upper hand having won 66 fixtures, compared to 55 wins for their opposition. There have been 42 Chelsea v Man City matches in the Premier League era, with Chelsea coming away with 24 victories compared to just 11 wins for Man City. It's a different story when you look at the last 6 Premier League matches involving both teams as Man City have won 4 of the fixtures, with 2 wins for Chelsea and no draws. The last time Chelsea v Man City did end in a draw was a match played on the 31st of January back in 2015 when the game ended 1-1 thanks to goals from Loïc Rémy and David Silva. The last Premier League fixture between these two sides was earlier this year on the 4th of March when a single goal from Bernardo Silva in the 46th minute won the game for Man City. The last match where Chelsea played Man City at home at Stamford Bridge was when they met in the Premier League on the 30th of September last year with Man City winning 0-1. The biggest win that Chelsea have ever had over Man City in the Premier League was on the 27th of October in 2007 when they smashed them 6-0 at Stamford Bridge. Two goals from club legend Didier Drogba as well as individual goals from Michael Essien, Joe Cole, Salomon Kalou and Andriy Shevchenko did the damage in front of a crowd of 41,832. You have to go back to 1958 for Man City's biggest win over Chelsea. They beat them 5-1 at Maine Road on the 15th of November in a League Division One match with an attendance of just 19,778 witnessing their biggest victory over Chelsea. Looking at the last 5 fixtures that Chelsea have played in all competitions, they've won twice, drawn 1, and lost 2 scoring a total of 7 goals (1.4 goals per game) and conceding 5 goals. Man City's record over their last 5 matches is great as they've is won 4 fixtures, drawn 1 and not lost. They've scored more than Chelsea, 17 in total (3.4 goals per game), and let in less (4).